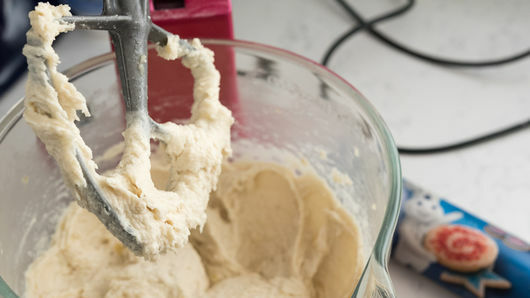 In bowl of stand mixer with paddle attachment, place 1 ripe medium banana and 1 roll Pillsbury™ refrigerated sugar cookies. (You can also use an electric hand mixer or a wooden spoon.) Beat on low to medium-low speed until smooth. Press mixture in bottom of pan. Add 1 cup of chocolate chips to the batter for an easy chocolate chip-banana bread cookie bar. 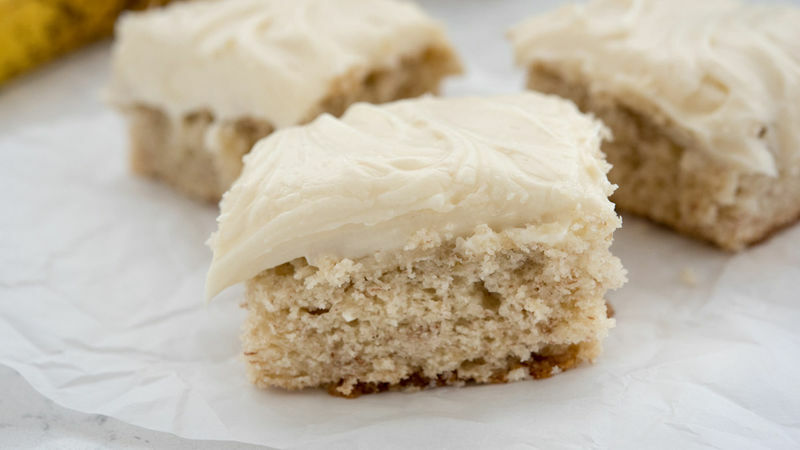 You can easily double this recipe by using 2 bananas and 2 rolls of refrigerated sugar cookies. Bake in a 13x9-inch pan. 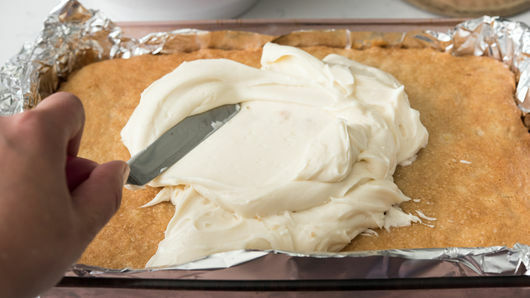 Double your frosting, too!